GALAISHA is a medusa of great reknown. She was raised on the Infernal plane of the Nine Hells. Raised in such an environment caused her to become ruthless. Galaisha has plenty of ambition, but no focus, and does not persevere with plans. This is perhaps an effect of the mentality that says, “If that doesn’t work, I can always turn them to stone.” She jumped from profession to profession before finally hearing the call of the blackguard from a “relative” who saw potential for unbridled destruction in her. It was after she arrived on the Prime plane that she was attacked and killed by a vampire. She slew her creator shortly after, and now wanders the world as a vampiric medusa. She was last known to be living in the vast city of WATERDEEP. N did some expermimenting with the ship, learning how to effectively operate the Spelljamming helm. Characters did some research using logbooks. Very little was known about the Isle of Dread, also called Albion. 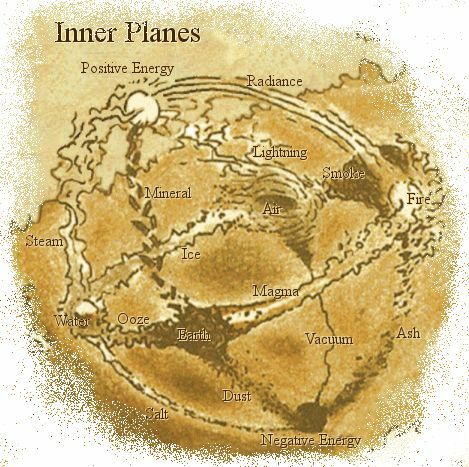 The party knows that they are on the Elmental Plane of Water. One of the few actual islands on the plane is the Isle of Dread. The island is connected to the Prime Material Plane by means of a regular storm that sweeps over the island. The characters awoke to find that Kua-Toa were attacking the camp again. Several members of the party were captured, and being kidnapped by the fishmen. Half of the party engaged directly, killing some of the fishmen and tracking them to the cave entrance that had been previously discovered. However, friendly fire from the mortar on the ship inflicted heavy damage on Matrim, Ragnir, and Daehir. The decision was made by the captain to withdraw and return to the camp to pursue the Kuo-Toa in the advantage of dayloght to rescue Arlan, Damoolah, V, and the other captured crewmen. Unknown to the party, the Kuo-Toans were kidnapping the crewmen to sell to a colony of nearby Drow. In the Forgotten Realms campaign setting Kuo-Toans maintain friendly relations with Drow, their Underdark neighbours. Blibdoolpoolp is the focus of the kuo-toans’ lives, and even has her own monstrous, deformed kuo-toa breed—the giant kuo-toa leviathan. They have total hatred for the Sahuagin, another aquatic race. During the Kou-Toa attack, a misplaced shot from the mortar sent a flamming cannonball into the treehouse fort, setting it ablaze and in the end destroying it. Two days worth of food and drink was lost in the fire. Also unknown to the party, The Three (Mindflayers) observed the situation as they had been through the use of Arcane Eye spells. The Three discussed what they might logically do in this situation. The surviving members of the crew recovered with a short time of rest, wakking in the wee hours of the morning on 28 Ches 1491 to find that Conrad the Priest had returned to the camp with three magical box wagons and a small unit of 10 fighting men. Conrad interacted with the crew, managing to talk about the Vanderboren Colony at lot and dropping some arrogant threats towards the crew. Conrad did complete a trade allowing the crew to obtain a scroll of Contact Other Plane. The party used the scroll to contact Captain Solomon Neegan, asking him questions to discover that he planned to arrive in 24 hours. However, his answers hinted that he might be in distress and in need of rescue. The party wisely spent the next day making plans to prepare as best they could in a known unknown situation. At this time, unknown to the party, the captured crewmen in the oily cluthches of the Kuo-Toas were being transported to a nearby Drow outpost. Finding themselves now in the clutches of Drow slavers of House Mizzrym, they were subject to mistreatement and hard labor. The prisoners are given cruel or pointless tasks to occupy them, and for the dark elves amusement, including coiling and uncoiling ropes, feeding and care of giant spiders, cleaning and polishing of harnesses and saddles, organizing supplies, and stacking crates of mushrooms. The prisoners learn quickly that the Drow are waiting for a group of Drow to arrived through magical means from Menzoberranzan, the City of Spiders, to collect slaves and supplies for transport back to the Underdark city. Back in camp, the party plotted and planned. Finally on 28 Ches 1491, the Lucille arrived along with two other ships. They unfurled their colors, revealing the flags of the Fire Giant known as Maagerra Sutur. Unknown to the party, Sutur is working with the small folk (Smee and the Sea Dogs) under the direction of Duke Zalto in the hopes of discovering some relics on the Isle of Dread. It became obvious very quickly that dynamics had changed aboard the Lucille. Smee seemed to be in charge now, and Solomon was paraded to the front of the ship in clear view as a prisoner. Two Sea Dogs had him manacled and held pistols ready at his head. Smee ordered landing crafts to disembark, sending four cockboats with 4 Sea Dogs each towards the beach. All the Sea Dogs were armed to the teeth, each carrying either longguns or a brace of pistols. Smee had a keen eyes (“20” on check) and saw the party laying in wait among the trees on the East side of the beach. Surmising that they intended ill towards his new crew, Smee ordered “No Quarter.” The Sea Dogs started to shout “Sails Ho!” a clear sign that they intended to engage the party as enemies. Ragnir, Machavelli, and N remained on the ship while everyone else was on the beach. The Sea Dogs landed on the beach, and one Sea Dog ordered the party out of the woods. He demanded that they lay down weapons and line up on the far side of the beach away from their arms. Matrim wisely tried to reason with these demands, but before he could even finish his statement, the Sea Dog leader fired a shot from his pistol, missing barely. And so the fight was on. The party did well dispatching most of the first wave of pirates, dropping Sea Dogs. However, Daehir went down due to hails of pistol fire. Artillery fire from Boaty McBoatface landed crippling hits on the one Fire Giant ship. As it began to take on water, Captain Sutur ordered his men to abandon ship and attack the party on the beach. Although Surtur had intended not to engage the small folk unless needed, he decided that he needed to defend his remaining ship. As the Fire Giants charged the beach, Surtur joined them, wielding his huge flaming sword. He issued a parley, offering to allow the small folk pirates to surrender rather than being killed. The party did not heed the words of the Fire Giant pirate, likely assuming he was lying. However, Surtur was willing to negotiate the surrender if possible so that he might bring these extra small folk to the cause of Zalto. Instead, the party kept fighting. Surtur shouted “unleash Hell!” and the Fire Giants did exactly that. Without moments, all the party on the beach were overwhelmed, lying bleeding and unconscious on the shore. Meanwhile on the ship, one of the Fire Giant spellcasters had not only used Quench Magic to disable the spelljamming helm, but also had cast a Mass Suggestion spell to convince N, Machavelli, and Ragnir to surrender rather than throwing their lives away needlessly. Although Smee wanted the party murdered, he had to follow fearfully what Captain Sutur said when another parley of surrender was issued by the huge Fire Giant pirate. The surviving crew was loaded on to the Fire Giant ship, and rendered unconscious after being slapped into chains. Although Smee argued with Sutur that the party should be executed for treachery and treason, Sutur stated that the party would be sold to the local Drow slavers operating on the Southern section of Albion. Sutur hoped that this offering of slaves might yield some hints about locations of local relics for Zalto. The party awoke to find themselves in the slave pen with their previously captured friends and a few other slaves.